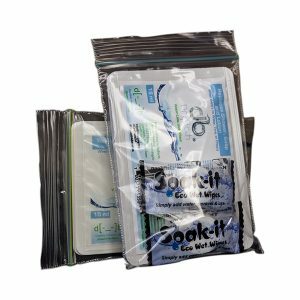 Including 52 free biodegradeable pill wipes. Just soak, wipe, and dispose. Made with 100% cotton, which decomposes within 1 month of being disposed in the bin. 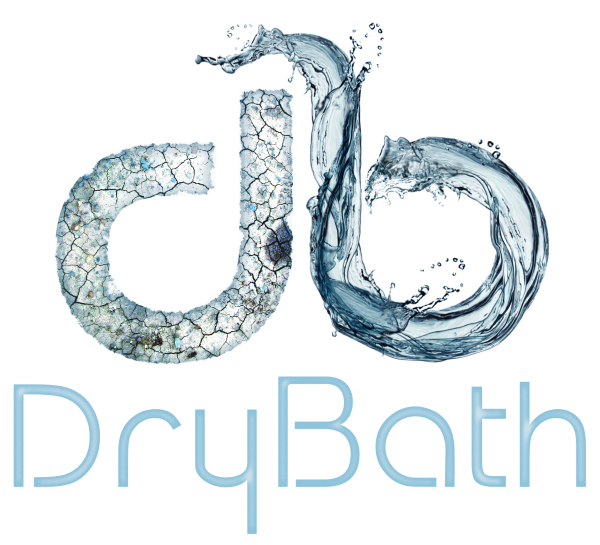 DryBath® is a proprietary blend of cleansers, moisturisers and tawas that make it a uniquely viscous gel. The essential oils and tawas provide a natural odour-eliminating cleaningto effect on the skin, and our unique formaula allows 15ml of gel to spread well enough to cover the size of an average human body. 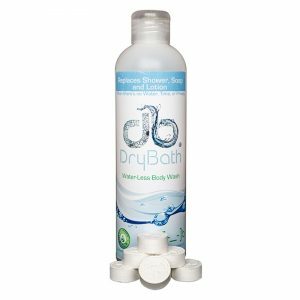 cleanse the skin while preventing dryness and irritation. 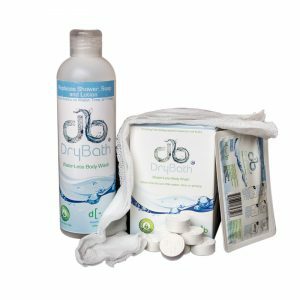 The gel is dermatologically tested for safe use on sensitive skin, and the product includes 100% cotton pill wipes that can be used to conveniently clean dusty/grimey skin before applying the gel. 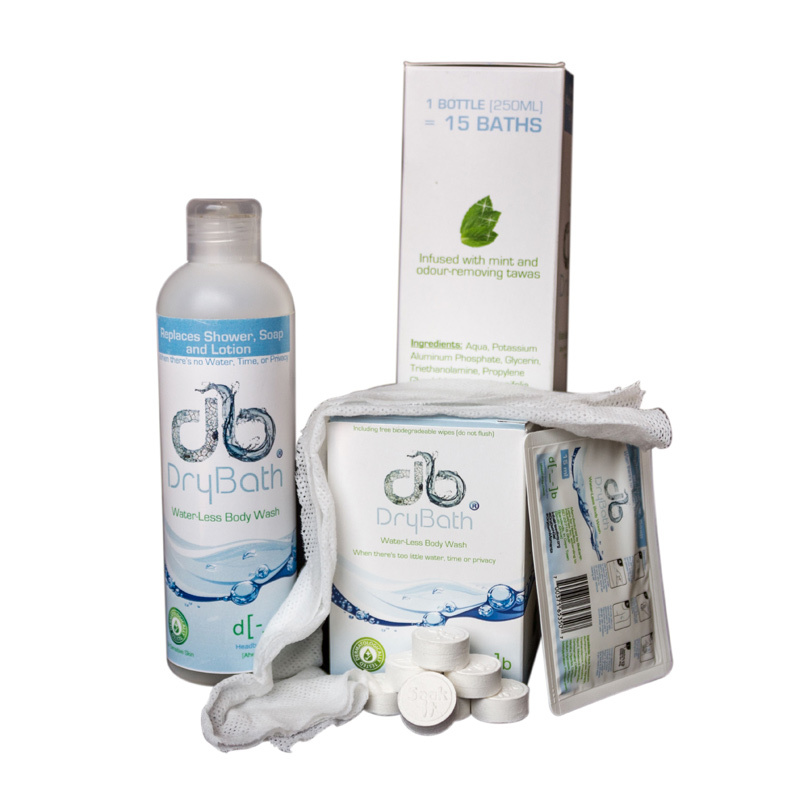 The gel can be left on as a lotion for the skin, and the reusable wipes biodegrade within 30 days of being disposed/composted (do not flush these).